Tommy Wirkola, soon to be seen directing the sequel to his sleeper Horror Dead Snow, here takes the tried and tested trip favoured by many foreign directors before him: moving from a semi-interesting piece of original material to a Hollywood production, desperate to be a franchise. In all fairness to Hollywood, Wirkola actually wrote Hansel & Gretel: Witch Hunters, so there's blame to be laid at both sides for this curiously humourless actioner, rife with tin dialogue and recycled plots. The starting point has to be the casting of Jeremy Renner and Gemma Arterton, both fine acting presences no doubt but hardly renowned for their ability to bring the LOLs. Here they're spectacularly po-faced, clunking through any moment that might have brought a bit of levity to what is, on the whole, a staggeringly dull affair. The antidote to their seriousness seems to be present in the cast in the shape of Peter Stormare, but instead of letting him cut loose he's marginalised to the position of sub-villain. Given Wirkola's background and the lack of love for laughs, there's a questions to be asked about whether this was, at inception, trying to be a pure Horror film. The presence of a unrated cut (not reviewed) suggests that perhaps Wirkola might have thought so but if that's the case then his tone, production values and cinematography feel all wrong. This doesn't have the grimness to carry off full Horror and scenes detailing Hansel (Renner) and Gretel's (Arterton) witch-hunting kit, plus the quite twee opening, seem designed for a less mature audience. By the time a younger main character shows up, presumably for the same reason, you do begin to wonder how much thought has gone into any of this. Perhaps the most interesting element here is the fact that, due to the confectionery house they once found themselves in, Hansel is insulin-dependent. A nice touch perhaps, soon ruined when you realise there's inevitably going to be a point when it looks like he might not quite get his medicine in time. 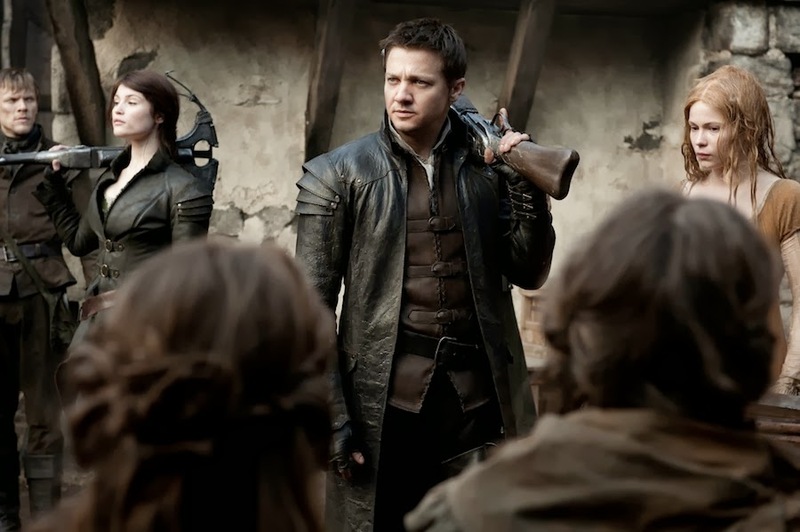 Mercifully, at just eighty-eight minutes for the regular cut, Hansel & Gretel: Witch Hunters disappears before its curious mix of joylessness gets too stifling. This never seemed compelling to me and this review confirms that feeling. Oh, absolutely a million miles from compelling. Hardly ever even interesting.